Some projects demand something beyond your current conception of "the best of you." In training, it's the coaching relationship between two people. You both rise to the level of each other. There’ll be no level to rise to if you don’t actively build up your environment to meet the level of expectation and performance you set for yourself. I believe these moments define us. I met Rehan Muttalib, jiu jitsu brown belt and multiple title holder at all belt levels, through jiu-jitsu: Rehan and I attended the same academy in NYC while he lived there. From the moment our mutual friends introduced us, we clicked. I later found out, it’s because we had both done our homework on one another: he had read some of my articles, followed my social media, and heard some things about my training methods from others. And I knew he was a stud athlete and intelligent competitor who was simultaneously attending medical school while adding medals to his resume in jiu jitsu. In a general sense, I am very interested in high level performers and people who do multiple things well. I often loved the ideal of the “renaissance man” as a kid, and aspired to live my life in a way that was both interesting to me, and gave me the room to explore anything I found myself engaged with. Maybe it’s because I grew up in the era of Deion Sanders and Bo Jackson. 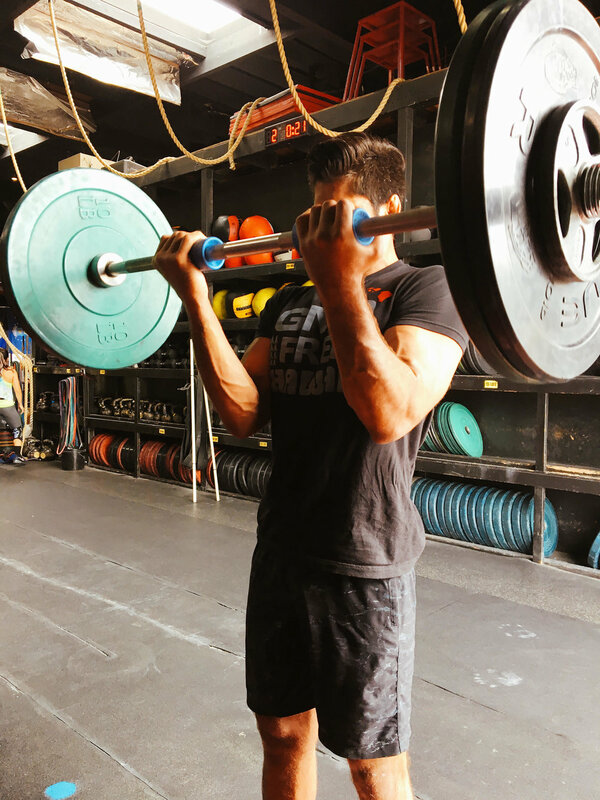 One point both Rehan and I bonded on and the one that ultimately solidified our relationship, was that we both saw value in traditional, results based strength and conditioning. Rehan had been around weight rooms in multiple sports, particularly football, and saw the power a strength coach can have with a good program. At the highest levels of the sport, strength matters. It’s funny I even have to say that, because an outsider would think— “strength training and sports seems like peanut butter and jelly.” However in jiu jitsu, there are a lot of strange ideas that persist about strength training that are very dated and antiquated. One such idea is that you don’t need strength training. Unfortunately, I believe jiu jitsu, and grappling sports more generally, are in the dark ages with strength and conditioning. There’s a few guys who get it and have been successfully through many of these rodeos (both coaches and competitors), but largely, jiu jitsu like many combat sports, is a breeding ground for charlatans and weird ideas of fitness and “sports specificity in training” to take hold. The first place you would naturally start any strength and conditioning program with is establishing a priority. As one of my teachers and mentors, Charles Poliquin would say, PRIORITY MEANS ONE! I had Rehan for two major tournaments, Pan Ams and Worlds, and we had a priority established for the first, and a priority for the ultimately longer camp to Worlds. So we had two, but we never tried to work on both at the same time. Pan Am Priority (approximately 4 weeks to complete): establish better strength and movement through the scapular region. Worlds Priority (3-4 months): Leg strength in the posterior chain to enhance the crown of his game: his world famous guard play. Rehan and I talked at length early on about the ultimate goal being Worlds in June 2018, but since we started training together in February, we knew we’d have Pans, a handful of IBJJF Opens and a few other opportunities that would pop up along the way on the competition circuit. It’s really important that grappling competitors understand that you only get 1, and at most 2 peaks in performance per year. Meaning, you can only train your way to perform physiologically at your VERY best twice per year. You’ll maintain that peaking performance for a little while, but the window closes relatively quickly. If you push as hard as you did to get there continuously you will burn out. I can’t predict your consequences, but it won’t be good. This comes from years of research and cross analysis in many sports for decades (by scientists all over the world). This doesn’t mean you can’t compete and compete often— but you should know which tournaments you want to be at your very best for. A classic jiu jitsu example of a dual peak would be Worlds and ADCC (on the years a top athlete qualifies for both and both are happening). With this in mind, we chose to peak Rehan for Worlds. All I programmed for him, his training and his entire life, was based around getting him to peak on June 2, 2018. This was mapped out carefully, and we used classic concepts of periodization to do it. The Monkey Wrench, or One Logistical Difficulty…. There’s just one thing: Rehan relocated mid-camp to Los Angeles. I’m in NYC. We did over half of our work together remotely, with me checking in on him every day, and me averaging a visit to the west coast every other week for April and May to check up on him, train him and tweak his program in person. While this was a big change, it is something I chose not to dwell on. We made it work. Nothing needs to stop progress if you’re committed to making it work. I can tell you between our daily conversations and his training logs, he didn’t ever miss a step and he made every performance in the gym as effective as I could have ever hoped it to be. "Before 30, you train with your balls. After 30, you train with your brain." You have two age factors to account for when training anyone: chronological age, and training age. Rehan and I felt that the paradigm was different for an athlete who had been to the rodeo many times. The high level athlete who knows their body and has been using it for a long time, and who is very familiar with their sport, needs to treat their training differently than a young 20-something who is still working toward their prime. Rehan at the time of writing this is 31 years old and with at least 15 years of hard multi-sport training (and 8 in jiu jitsu) on his odometer. Thus, we had a manifesto: Training smarter to train harder. There would be no blindly hard, bruising sessions without purpose just for the sake of saying we “trained hard.” There would be no extra time spent in the gym that didn’t need to be done just to say we were there. Everything had a purpose. Recovery and down time would be treated with the same seriousness and care as training. High level athletes, particularly those who have been competing, training and involved everyday for many years (around a decade), have what I call a high training age. 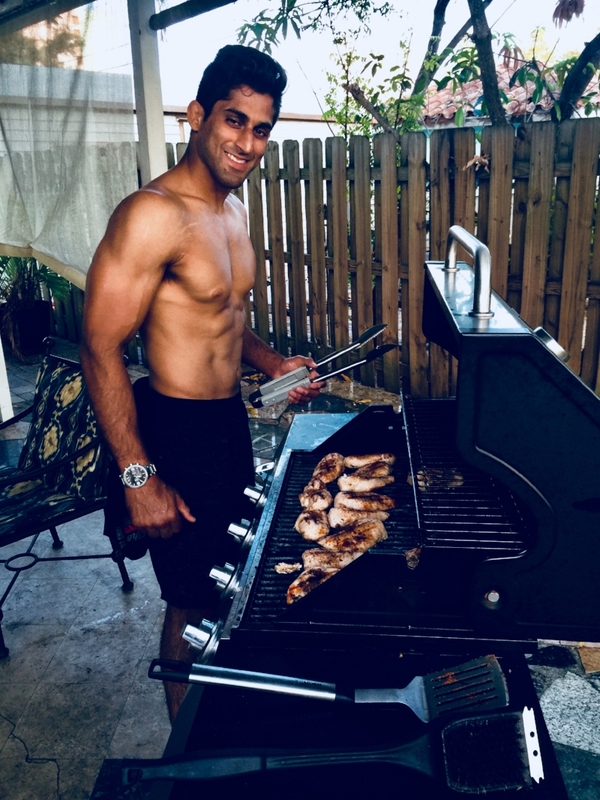 Rehan had a very high training age: being a former Division I NCAA football player (defensive lineman), playing football growing up, and already a decorated champion in jiu jitsu at all levels, he came with experience. It’s always important to choose your priority, but I always have to know the training age of the athlete first. The reason for this is you can reasonably assess how much strength they have to gain in what we might call the indicator lifts, or just more generally, the big lifts we hope to add strength to. These correlate with better performance on the mats (they do NOT predict it, but there is a high correlation). In a nutshell: the lower your training age, the more rapid room for growth you have. The higher your training age, the more you have to carefully program to bring about more modest gains than someone in their first 3 years of strength training. Rehan came to me with some appreciable numbers in the main lifts for a grappler, and had a history and knowledge of body building. In other words, he had a good degree of gym literacy. This made me program for him in the weight room at an intermediate-to-advanced level (more below on that). For Rehan’s first mini program before Pan Ams, I chose to get his scapular retraction working a bit better and we used some mobility techniques that I learned from my years working with Steve Maxwell. You can find most of these in his mobility videos, but my favorites, which ultimately comprised Rehan’s daily rituals were the Single Joint Mobility Movements. One technique I like quite a bit is the Farmer’s Carry with a Kettlebell in the Rack Position. It can stimulate the lats and trapezius muscles, depress the shoulders (taking you out of the shoulders-hiked and small-neck jiu jitsu posture), and then forces you to keep that posture while you get in some back handed GPP (General Physical Preparedness) with the farmer’s carry. You also learn to maintain that position when you have to. It really did the trick. We’d also progress to things like Dead Hangs on a Pull Up Bar and Scapular Pull Ups to get the body warm and things working in the proper order. Classic, good pairing of exercises in an antagonistic co-contraction organization. It’s simply the most effective way to pair these types of exercises. The prime mover of the last exercise rests while the formerly antagonist muscle group works on the second exercise. This organization is something I learned from Poliquin and has been built on and replicated by many great coaches. Traditional strength programming would dictate you would want to work strength first, and then, hypertrophy if that was a desired outcome. Jiu jitsu is a weight class sport, and while I wanted to strengthen the posterior chain and work his legs in cycles of higher reps to facilitate this, you must be cognizant of putting weight on (or taking it away) from a top contender at his weight class. If he missed weight because I made him look like Dorian Yates, then I am severely out of touch as a strength coach. However, Rehan and I took what we knew to be a little bit of a risk. In retrospect, this wasn’t much of a risk at all. Rehan is what I’d call a volume responder: he does well with high volume training. Intensity should be used relatively conservatively with him, and only to switch things up. With that in mind, we could lean on higher volumes of work in the weight room. The aforementioned risk I mentioned, was him putting on too much size (and going over his weight limit): being so responsive to volume. A shot from the beginning of 2018. 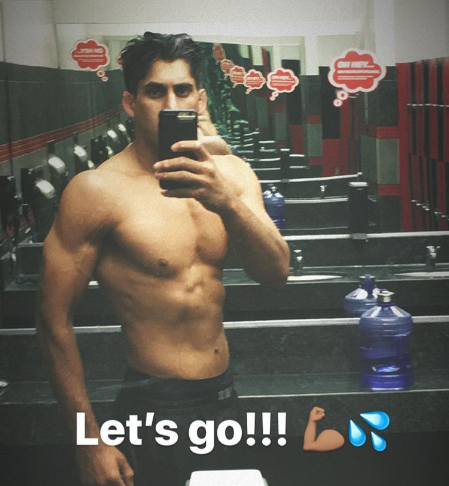 A shot 3 days out from Worlds from Rehan's Instagram (May/June 2018). We chose to have a little bit of a body recomposition go on in the course of the 4 months. Here is where the risk comes into play: already being around 10% body fat and frequently on weight throughout the year, he didn’t have to lose anything, but we could make him weigh the same 175-178lbs that he already did, but much, much leaner and more muscular. So that’s what we did. We built a bigger, better engine. Between working out with me, and the many hours of jiu jitsu training per day, his energy expenditure bought us some wiggle room. The other thing that we did was never hang out too much or for too long in hypertrophy rep ranges (8-12). We did a lot there, but they were carefully accounted for. His lower body program became low-key viral and a joke around some jiu jitsu circles, as he’d often post on Instagram that he was doing my “leg day” with all kinds of painful emojis. It became a thing of mild legend. What was he up to on those days? 6-8 reps, training a functional hypertrophy base. We’d go down in reps in intensity phases, and up in accumulation phases. That was the crux. The Front Squat is my grappler staple squat. Few exercises are able to increase relevant strength for grapplers in a way that doesn’t over-train them. You always have to remember that jiu jitsu sparring rounds are almost like mini strength sessions that a high level athlete will basically be completing every day. Over-training is a very real risk in strength training these athletes, because they are often teetering on over-training just from their sport alone. Quite simply: their jiu jitsu class can be like a workout on its own. The highest ROI came on the Step-Up. It addressed everything that needed to be addressed in his program and areas for growth. Without going too much in the weeds, Step Ups are severely underrated as a tool for calf, ankle and foot strength, but also ultimately for balance and proprioception. All things that are important for a guard player. I lean heavily on unilateral work for athletes. Split Squats and Lunges (Walking, Drop, Stationary, etc), all find their way into my programs very often depending on need and what that week calls for. Deadlifts are a popular choice for grapplers and I used the deadlift once per week in 3 week bursts, and would de-load or ditch the deadlift all together depending on many factors in the 4th week of a cycle (sometimes every third week). I notice that volume responders, particularly jiu jitsu athletes, burn out quick if you lean on the deadlift too much. As the competition drew near, the deadlift happened every other week. Did I just give away the recipe? Before (Left), February 2018, and after (Right) May 30, 2018. Upgrading and enhancing his recovery practices to fuel him into the next day. Looking at the body composition results in the images above, you can see Rehan had extraordinary results. The rough numbers tell a better story: he successfully "recomp'd," as he weighed in at roughly 175lbs in both photos (at the time of taking the second photo, he was actually closer to 173lbs). Meaning, we were remarkably successful at building muscle and keeping him squarely in his weight class. Rehan deserves a lot of credit for this, as he dialed in his diet to a point most athletes aspire to. For those who always ask what is more important in body recomposition: diet or exercise-- I say both and you have to have congruent practices in both when your goal is to change your body composition. Rehan's results only reinforced this to me. I did not speak at length here about the importance of recovery methods: we did some of our best work here. I'd like to devote future articles to this, but I'd be remiss and misrepresenting this project to you all if I didn't drive home the importance of the work Rehan spent in the other ~20 hours of his day "working in" as Paul Chek would say. I would like to say in closing that strength and conditioning for jiu jitsu is not so different from the well-established practices of S&C in other major sports. You simply have to identify what the important muscles are, if the athlete needs more strength or more power, body recomp, and ultimately how to get them there. We make this process overly complicated, but it needn’t be. One of my personal missions is to communicate to the world that that jiu jitsu athletes are their own class of athlete and need their own individualization in strength and conditioning. They are not wrestlers. They are not judo players. They are not MMA fighters. While there are parallels, their strength and conditioning must be different by virtue of the fact that modern sport jiu jitsu takes place on the ground, as opposed to the other grappling arts I just mentioned. It was important to me that not only was Rehan’s program carefully individualized, but was not overly inspired by popular grappling programs in other sports. Flash forward to now, a few days out from Worlds as I write this, and I am very satisfied with the progress Rehan made during this whole camp. From a strength and conditioning perspective, it’s been an absolute dream: full compliance, great communication, and excellent results. Working with Rehan has been one of the most rewarding experiences of my career. I am very fortunate to have a great roster of clients who all are devoted, thoughtful and committed to bettering themselves, and Rehan is no different. As you can see from the photos above, he’s had quite the transformation. I couldn’t be more satisfied with the results and the physical preparation for him that went into this camp for Worlds. We did everything we possibly could to set up the best environment for success.